Walrus Audio has announced the third version of its Deep Six Compressor. 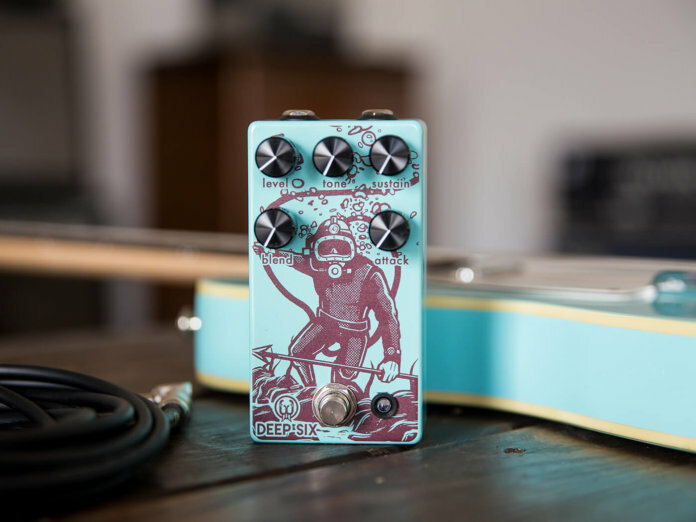 Originally launched in 2012, the stompbox features a studio-grade compressor based on the Universal Audio 1176. Version three comes with a new tone knob for bass cut, as well as other useful updates. The Deep Six’s original four-knob layout – level, sustain, blend and attack – now stars a fifth member: the tone knob. This lets you manage the low end, producing a tone that can cut through the mix. Elsewhere, the updated version features a soft switch with relay bypassing capabilities, as well as top-mounted in/out jacks.